This seed comes from an outstanding strain of California Orange Bud crossed with a top-notch Afghani hash-plant, adding weight, speed and a deep hashy undertone to the deliciously citrus-scented mother. ‘Orange bud’ is sometimes used as a general term for any thick Indica with dense orange hairs, whether or not it has citrus taste and smell. Generic weed should never be confused with genuine California Orange Bud. This seed comes from an outstanding strain of California Orange Bud crossed with a top-notch Afghani hash-plant, adding weight, speed and a deep hashy undertone to the deliciously citrus-scented mother. ‘Orange bud’ is sometimes used as a general term for any thick Indica with dense orange hairs, whether or not it has citrus taste and smell. Generic weed should never be confused with genuine California Orange Bud. True Orange strains have been grown outside in the near-perfect cannabis climate of America’s West Coast for many years. Since different lines have been propagated by seed for generations across an enormous area, OB comes in a wide range of fabulous phenotypes, from dominant Sativa to almost pure Indica, depending on the selections made by each cultivator. Profuse orange hairs are normal in every form of California Orange Bud and an irresistible sweet-sharp citrus flavour is the real distinguishing feature of this line. Sensi’s California Indica is bred from a massive, heavy-yielding Orange Bud mother whose mix of traits leans towards Sativa. The long blooming, open budding tendencies of the Californian have been controlled through breeding with the super-Afghani male used in the creation of Sensi’s Hash Plant seed-strain - our 50/50 HP/NL#1 cross. The resulting hybrid is solid, compact and quick - bringing our California firmly back to the Indica the side of the family while keeping plenty of the original sun-drenched high to lift and illuminate the deep Afghanica body-buzz. California Indica® is a regular strain, which will produce male and female plants. The California Indica® strain has large proportion of Indica genes in its background. California Indica® will have a comparatively short flowering time. California Indica® will have relatively small height gain during the flowering phase. California Indica® can produce a very large yield, but may require a little extra care to achieve their full potential. California Indica® can be grown outside in a normal warm summer. California Indica® Seeds is added to your shoppingcart! 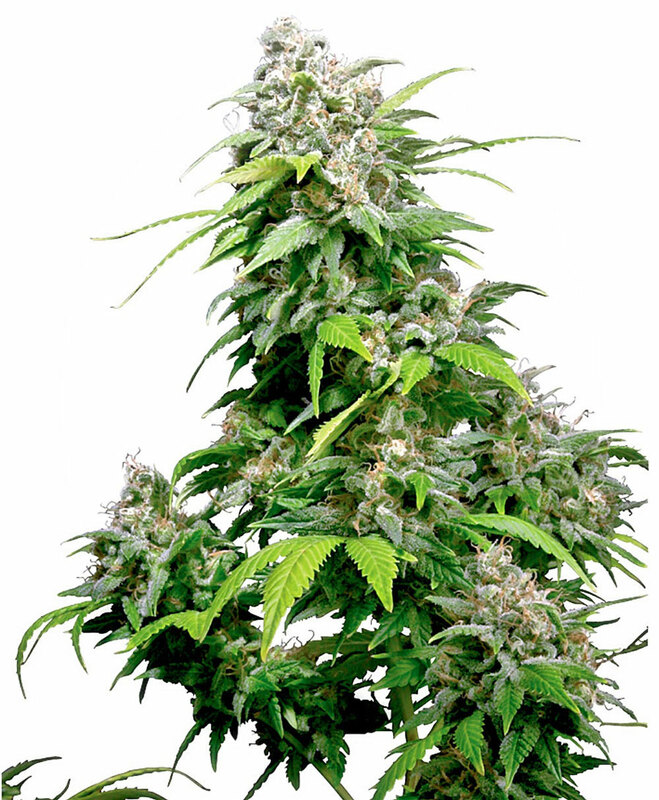 California Indica® Seeds is added to your wishlist!